Your dog probably has everything, right? A good home, delicious meals, lots of interesting smells, and unlimited trips to the dog park or tons of space to run around. You might be a little stumped on what to get the dog who has everything for the holidays but we’ve got you covered with these ‘pawsome’ holiday gift ideas for your furry friend. Sticking with the classics, treats are always a great gift. Lots of pet stores have holiday themed cookies for dogs so they can be as festive as the rest of your household. They come in a variety of shapes and flavors and are a surefire way to make your dog feel loved as they chow down on their gift. Maybe you’re looking to really wow your dog this holiday season and Christmas-tree shaped cookies just aren’t going to cut it. Well, how about a luxury dog bed? Beds for pets are no longer limited to cushions on the floor, and dog beds come in such a range of styles that you can find one to fit your pet as well as your decor. From miniature leather couches to beds that come complete with bed tables and quilts, there’s a luxury dog bed for every breed, size, and disposition. Of course, if you want something special that also serves a purpose then custom dog collars for your pretty pooch might be exactly what you’re looking for. Custom dog collars look great and you can even get a leash that matches. Your dog might not appreciate all the colors and the personalized name plates on their new collar but they sure will appreciate going for walks and how much attention they’ll get from their fancy matching leash and collar set. Safety is a concern with most pets anyway, and with dogs, it’s often multiplied because of how often dogs roam, wander off, or sometimes just get lost. If you don’t feel comfortable getting your dog chipped (inserted a GPS microchip) then you can get a collar with a GPS chip inside of it. Even if your dog isn’t the type to wander off, a GPS enabled collar can help give you peace of mind. Dogs can’t tell people their name and address so it’s up to their owners to make sure they can get back home if something should happen. What about toys? All dogs love toys and right now there’s a whole world of dog toys beyond tennis balls. Maybe you’ve got a dog that’s crazy about fetch and just can’t get enough of it. Get them (and yourself) a Chuck-It to keep the game going! Chuck-Its are basically a plastic arm with a cup at the end to scoop up a slobbery ball so you don’t have to keep touching it as fetch progresses. The plastic arm helps launch the ball further than you can throw it on your own, which will delight any dog and keep the game going for hours. When it comes to food time, dogs don’t need much to get them excited but what if they had a food bowl that interacted with them or a water bowl that refilled automatically? Dogs struggle in hot weather and climates and they require a lot of water so a bowl that works like a water fountain or refills itself is ideal for anyone who might get concerned about their panting pooch. Likewise, if eating is a problem or your dog needs to slow down how fast they devour their food then an interactive food bowl that requires them to figure out how to get to their kibble might be a perfect fit. Dogs that eat too quickly often times do so out of anxiety and eating at that speed causes them to puke. Slow them down, help reduce anxiety, and aid their digestion. Bowls made specifically for this purpose come in a variety of styles so you can get a simple one or you can get one that requires interaction. Whatever would get your dog all excited and whatever your budget, there are tons of pawsome gift ideas out there for you and them. 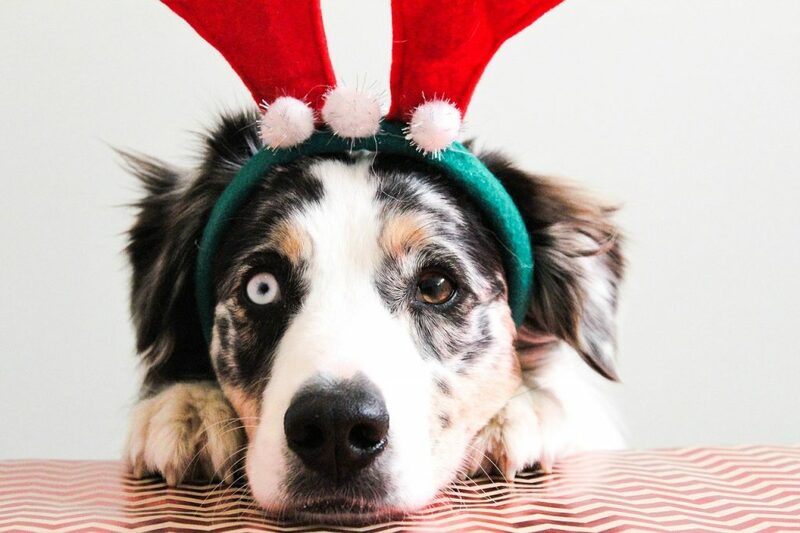 Lounging, playing, or eating, make your dog the happiest pup on the block this holiday season! I’ve been thinking of getting my cats a water fountain drinking machine for Christmas. Treats for the stockings.